Born in Tokyo as a son of Tetsu Yamada (1898-1971), a Buddhist monk and later a ceramist, Hikaru Yamada was raised in Gifu prefecture and studied pottery making at Kyoto Koto Kogei Gakko (current Kyoto Institute of Technology). After graduation of 1945, he stayed in Kyoto and produced ceramic works. At first, his works were rather orthodox, such as the vases with slip-cutting technique similar to the traditional Chinese Cizhou ware, and exhibited at the conventional Nitten (The Japan Fine Art Exhibition). Soon after, however, pursuing the new possibilities of ceramics, he co-founded Seinen Sakutoka Shudan (Young Pottery-makers’ Collective) in 1946 and then Sōdeisha (Clay Association) in 1948 with two other like-minded potters Kazuo Yagi (1918-1979) and Osamu Suzuki (1926-2001). 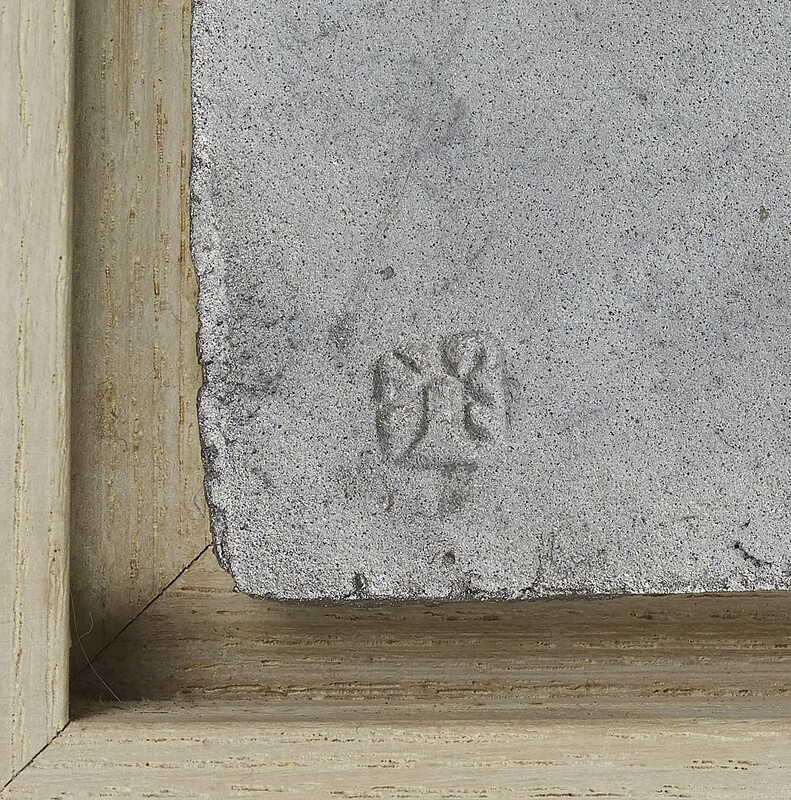 In particular, Sōdeisha, a name which refers to a Chinese term meaning ‘glazing flaw’, became the most influential avant-garde ceramic group in Japan. The aim of this group of potters was to install a more artistic and expressive dimension in pottery, relieving the final object of its utilitarian purpose and giving new form and meaning to the discipline. Therefore their creations could not be categorised as mere ceramics and they were often referred to as Obuje-yaki (Ceramic Art Object). Each member experimented the innovative techniques and forms, expanding the possibility that the pottery works can achieve. Yamada changed his styles through his career but have been constantly recognised to realise intellectual structures in his work. In the mid-1950’s, he started his artistic innovation by cutting and closing the mouth of the vase, completely disabling the function as a vessel. 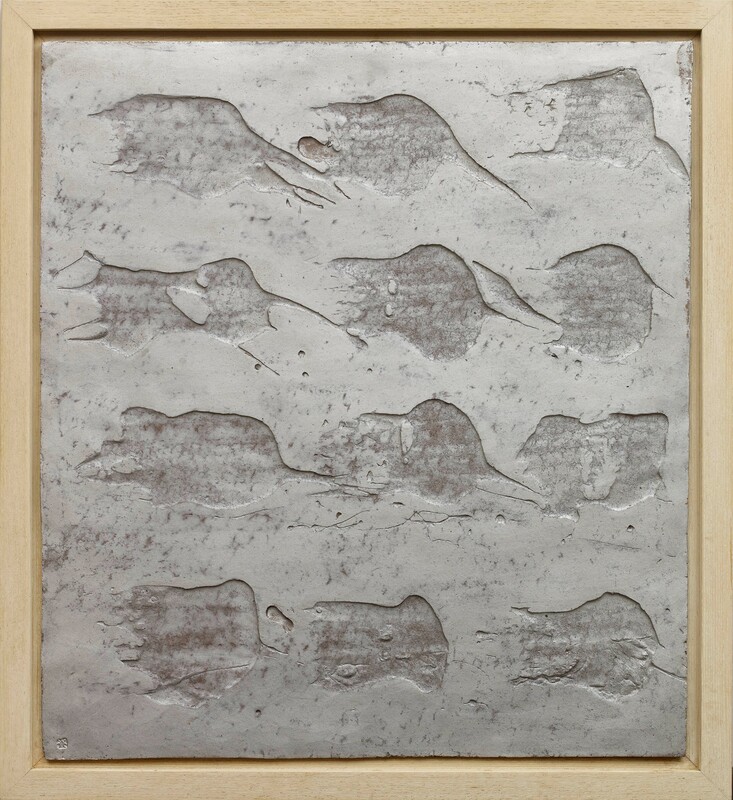 Then he moved on to the “Tower” series in the 1960’s, “Numerals” and “Ear” series in the 1970’s, “Black Pottery” series in the 1980’s, “Silvered clay screen” series from the late 1980’s and “Silvered clay pipes” series in the 1990’s. This present work is one of the silver glazed works from the artist’s late career and represents his iconic two-dimensional representations. Works by the artist can be found in the collection of various museums including: the National Museum of Modern Art, Tokyo; the National Museum of Modern Art, Kyoto; The National Museum of Art, Osaka; The Museum of Modern Art, Wakayama; Kyoto Municipal Museum of Art; The Shigaraki Ceramic Cultural Park, Shiga; Museum of Modern Ceramic Art, Gifu; Rakusuitei Museum, Toyama; Hiroshima Prefectural Art Museum; Fukuroka Prefectural Museum of Art; Victoria and Albert Museum, London, UK; Museum of Fine Arts, Boston, USA; Everson Museum of Art, Syracuse, USA and Musée National de Céramique, Sèvres, France. An example from the same series “Clay Wall: Silver painted” (1991) is housed in the National Museum of Modern Art, Tokyo. SKU: 7675. Categories: Ceramics, Porcelain, modern/post-war, Paintings.